When we arrived our host, Mae Pa, had a cold drink waiting for us. She ladled blue liquid into glasses and gestured that we should squeeze lime into the drink. After we did, she held up the glass and showed us how the lime was turning the blue liquid purple. The drink was sweet with not much flavor besides the hint of lime. She held up a blue flower that had been laying on the plate next to the limes and indicated that the drink was made from the flowers. 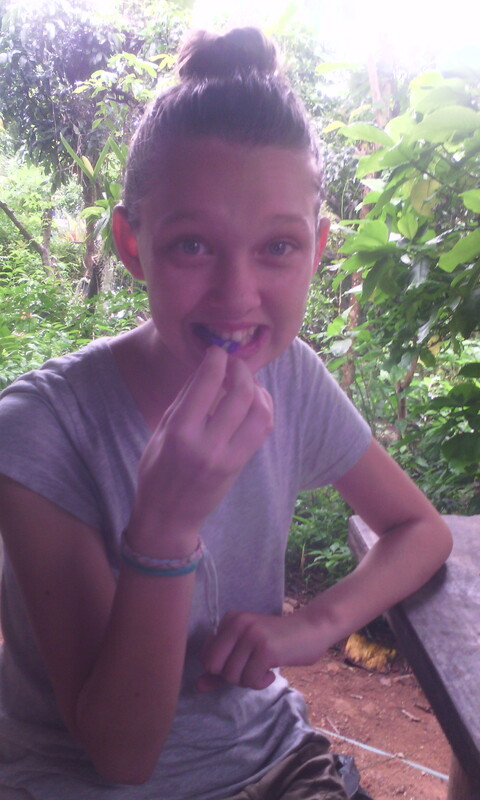 She then popped the flower into her mouth and encouraged us to do the same with the other flowers on the plate. We did. And like the drink it didn’t have much of a flavor. 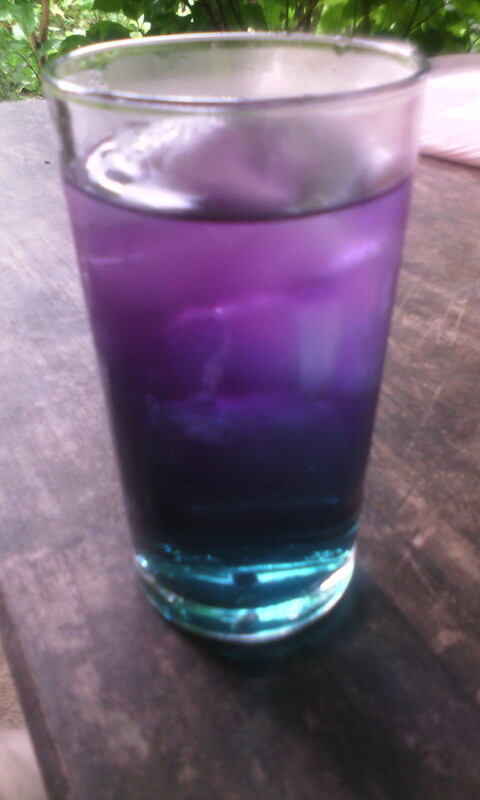 I found out later the flower is called Butterfly Pea and that the drink made from it is popular all around Thailand. After enjoying our drinks, we were led through the family’s living space to the downstairs bedrooms. Our host then let us choose between two rooms. One with a double bed and two twin mattresses on the floor and another with a double bed and three mats on the floor. We chose the room with the twin mattresses thinking they would be more comfortable after having slept in Mae La Oop on floor mats already. It turned out we may not have made the right choice. The mattresses were soooo hard. They were made of a hard foam with a thin layer of padding on top. The double bed mattress was so old that the padding was smashed down to nothing. I survived the two weeks, but vowed never to take soft beds for granted again. The bathroom attached to our chosen room had a squat toilet and cold water shower. Luckily we were offered the use of the bathroom down the hall, which had a western toilet and a hot water shower. I am getting used to using a squatter, but I am not a fan of cold showers. Since we were staying about a kilometer from the main area of town, our host cooked us breakfast and dinner for an extra fee. Honestly the food wasn’t very good. One time we were served a mushroom dish that was so bad, I tried to discreetly chuck the mushrooms into the jungle-like yard next to the porch where we were eating. Luckily there was a shop down the street where we could buy ice cream after dinner. Also, there was a small restaurant at the bottom of the hill that served yummy fried rice and noodles where we could fill up at lunch. We often had other dinner guests, as well. Meow, the aptly named family cat, would prowl around hoping for fallen scraps. And a neighborhood dog we called “Foreigner Dog” would also loiter around. It was exciting when dog and cat would fight over a piece of food. The cat always won. Our host spoke no English, but she always tried to talk to us. We would catch a word here and there and attempt to guess what she was saying. Sometimes we succeeded. Sometimes we didn’t. It took me several tries (because I am terrible with Thai tones) and many gestures to communicate that I would like to do laundry. Luckily, I had already learned how to use a Thai washing machine and could handle it by myself this time. Although Mae Pa’s husband did have gesture to me to rearrange my hanging clothes so our unmentionable weren’t on the line right in front of the house. 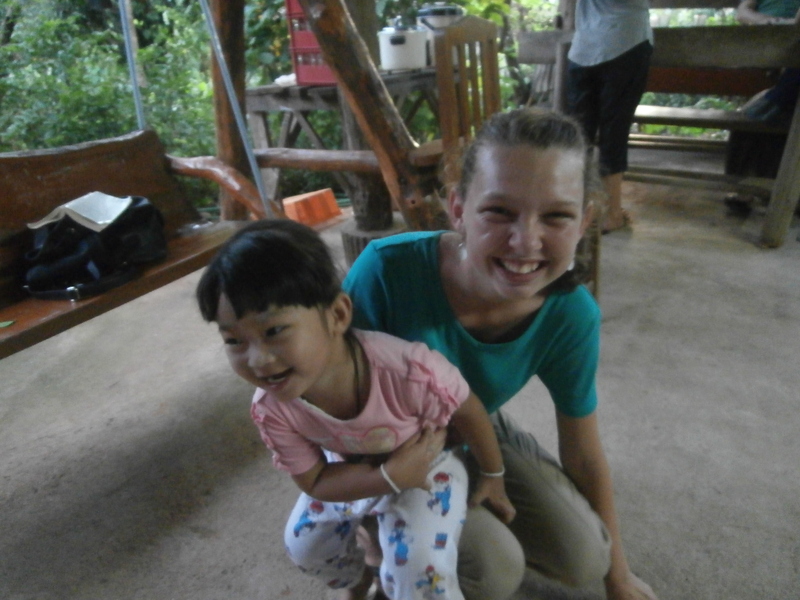 We spent two weeks in Mae Chaem, visiting schools, temples, and other nearby attractions. As we were leaving we asked the interpreter that was staying with the students next door to help us settle our bill. Through her, our host told us how much she had enjoyed having us stay with her and that she wished she could talk to us. She gave us hand made pillows to take with us. We told her that we also wished we could talk to her and thanked her for her hospitality. 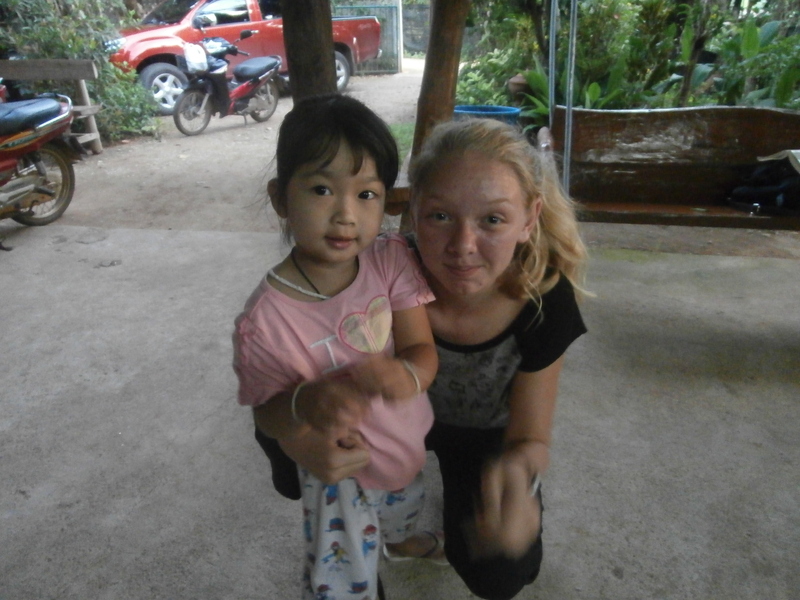 Hard beds and mediocre food not withstanding, we enjoyed staying at Ma Paw’s homestay in Mae Chaem.